Katie and Matty! I know I sound like a broken record sometimes, but I love when a couple really makes their wedding day their own. There was never a moment when we felt like we were checking off things to do on a timeline. They made sure that they had time to really enjoy every moment. Matty started the day off going putt putt golfing at Mulligan's Miniature Golf before sending Katie on a scavenger hunt to get her morning gifts. It was the perfect was to start the day. This video also had the most amazing cake cutting reaction ever! Oh yeah, did I mention that The Chocksett Inn is a great place to get married. I didn't? Ok, it is! Here's Katie and Matty's story - enjoy a bit of their journey! There is no doubt that Disney is a magical place. It has a certain pull that is sometimes unexplainable. Kayla and Michael can probably explain it better than most as they have an undeniable love for Disney. While this wedding wasn’t a Disney themed wedding there were some hints about their love of Disney - two toast mentioned it, they had their names in the Disney font and the topping of the cake was a Disney castle. It was fantastic. There’s also no doubt that Kayla and Michael have that same magical love for each other as well. You can see in his face when she first starts walking down the aisle. You can hear in their laughs when they joke around. It was a beautiful day and a beautiful wedding! Here’s their wedding story! Enjoy! 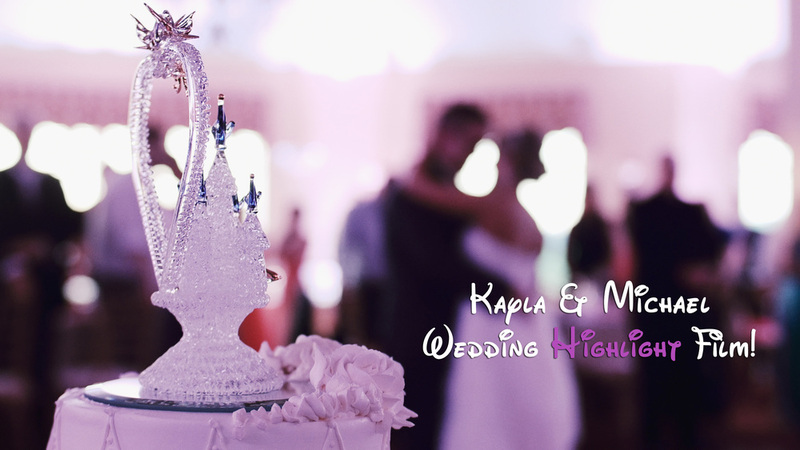 Disney Wedding Highlights at Highfield Country Club from Latimer Studios on Vimeo.